This soft shackle in integral to the main halyard. It is made from a single line with a combination of knots with a finishing splice. I have tested it to over 1000 pounds using 3/16 Amsteel without slip. While I have not tested it to destruction it is very likely that the shackle is stronger than the line so that the failure would be outside of the shackle area. I base that on the fact that the shackle area is made of either 2 or 4 lines so any loss due to the knots is unlikely to bring the strength below line strength. Of course, a halyard is typically not loaded that high as the application is mainly stretch limited. That said, be sure to do your own testing before using this in any critical application. 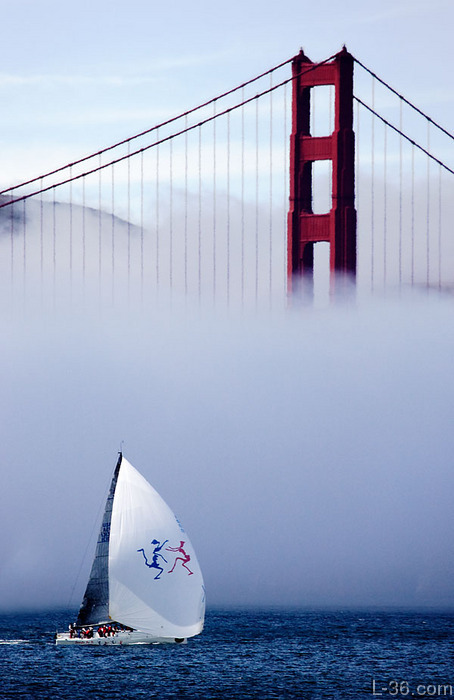 On Wednesday, June 8th, 2011 as the sailboat fleets made their way in from the evening races, they were glad to beat the thunderstorm that was coming in from the west. 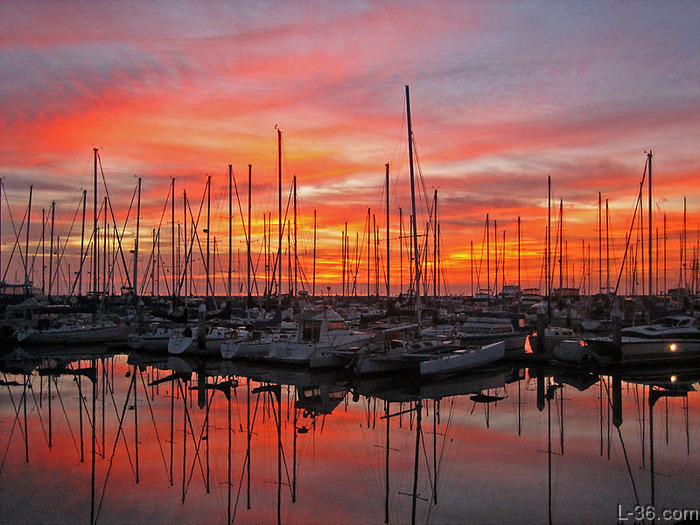 Just at dusk eye witnesses saw a lightning bolt hit a 30 ft ketch swinging on a mooring in McKinley harbor, downtown Milwaukee. " It lit up like a Christmas tree" was how one observer described the event. Within an hour the boat was under water with just portions of the masts showing. Notice the wire going to the through hull in the picture below. 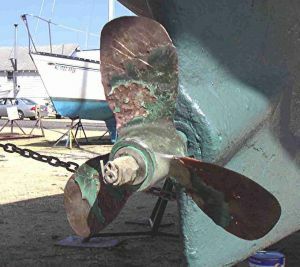 Also notice the grounding clamp around the through hull where the connection was made. There are few if any topics in yachting that have as much myth and misinformation surrounding them as does the question of bonding various pieces of your boat together. There is a very good reason for this confusion as the requirements surrounding bonding conflict. It is important to understand when bonding is good and when it is bad so that you can know when you should and when you should not bond. I hope this article will help to clear up some of that confusion. I will try and present the topic in an understandable way so that you can make decisions based on knowledge rather than on opinion or myth. What does bonding actually do? Why do you want to bond pieces of your boat together? Why do you want to have pieces of your boat isolated (not bonded)? If we can answer these questions we can make intelligent decisions about what to do. An inhauler, sometimes called a Barberhauler, is used to pull the jib sheets inboard from their normal position. You can do that to decrease the sheeting angle or to keep the sheeting angle the same as you let the sheets out to add fullness. We do that when we need more power to drive through the waves. In flat water, we don't use it so we like to have it detachable and easily set up. This setup stores nicely and can be quickly installed on the already set sail. The carabiners I use are very light so they do not harm the paint on the deck. Them and the descending ring are from REI and their 5,000 pound rating, typical of climbing equipment, is ideal for my boat. Get the carabiners with the wire gates. This is generation 3 of my inhauler setup. It is easier to set up than the other versions. The 8:1 purchase seems ideal for the job and the fact that one control line works both port and starboard is a great advantage. Once balanced, you are automatically maintain your trim after a tack. I like to rig my double block so the line is against the deck instead of the face. You can see that in the pictures below. In many area calibrating a Knot Meter is a simple matter of setting it to read what the GPS reads. But if your boat is in areas where there are tides, local current can make this method inaccurate. 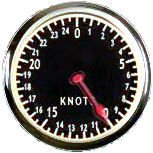 The following method can be used to calibrate a knot meter even if there are very strong currents.